Marseille, February 21, 2019 – After launching its hydropower business several months ago, Cap Vert Energie has just carried out its first acquisition in Aude. The company is betting on external growth for development in small hydropower and plans to make several similar deals over the course of the year. 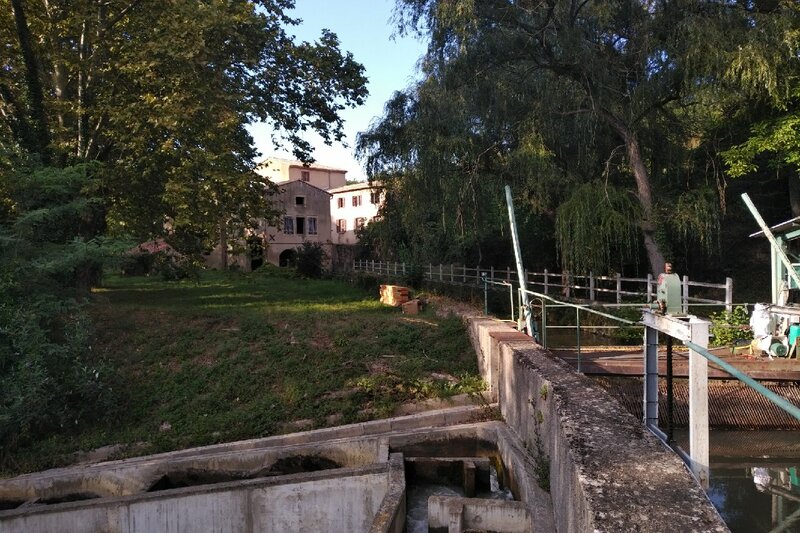 Following a deep internal audit to identify how the site could be optimized, Cap Vert Energie has acquired the hydropower plant of Alet-les-Bians in Aude. With this plant, Cap Vert Energie will produce 1.8GWh/year of hydro-based electricity, preventing the emission of 115 tons of CO2/year. Cap Vert Energie’s development strategy in hydropower relies primarily on purchasing plants that are already in service. To do so, Cap Vert Energie draws on its dedicated team’s experience in mergers and acquisitions. This independent producer also has expertise in the form of its in-house hydropower research office. Finally, Cap Vert Energie has put its financial engineering skills and its network of financial partners to work, enabling it to carry out deals of all sizes in little time. These acquisitions may require that complex, optimized structures be put in place. They were finalized without enlisting outside consultants, showing how Cap Vert Energie is capable of pursuing its development strategy in an increasingly competitive and demanding environment. Pierre de Froidefond, a founding partner of CVE alongside Christophe Caille and Hervé Lucas. Cap Vert Energie is currently studying several similar acquisitions of hydropower plants. The company plans to boost them while also bringing them up to environmental standards. At the same time, CVE is working on the development of its own new hydropower projects. Their ambition is to be operating a hydropower fleet with a power above 30 MW within 5 years. Decentralized by nature, hydropower falls squarely within the CVE Group’s vision of producing renewable energy close to where it is consumed in a direct-sales model. Hydropower also complements Cap Vert Energie’s current energy mix, which is focused on solar and biogas. In this sector, the aging of existing hydroelectric plants, the increase in administrative restrictions on renewing rates and concessions, and new environmental standards are forcing hydropower producers to apply industrial expertise and scale up. In this context, Cap Vert Energie offers different solutions to producers, from takeovers to partnerships.